If you are one of those people who collect Pez dispensors, here is a unique gift idea. Hot Pop Factory has devised a way to put your face on it. 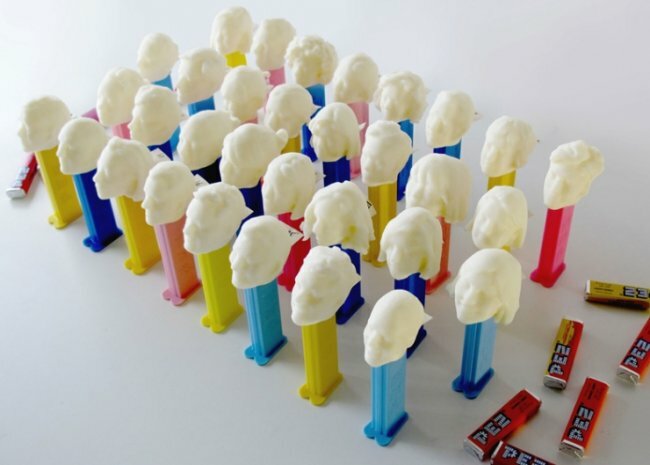 Hot Pop Factory co-founders and designers Matt Compeau and Bi-Ying Miao use an Xbox Kinect motion-sensor to scan your head and use a 3D printer to make the plastic pez replicas. This all came from a client asking for a custom holiday gift idea for their 32 employees and these pez dispensers were the perfect gift. The designers just removed the regular, cartoon pez tops and replaced them with the new heads. Awesome idea. Now you can really be a Pez head.